February zoomed by me in a whirlwind of activity. And snow. So much snow. But I willingly live in Michigan so I can't really complain. Such is life in the mitten state. And as the last few hours of the day tick by, it's time I reflect a little on those goals and to-do items I set up for myself at the beginning of the month. 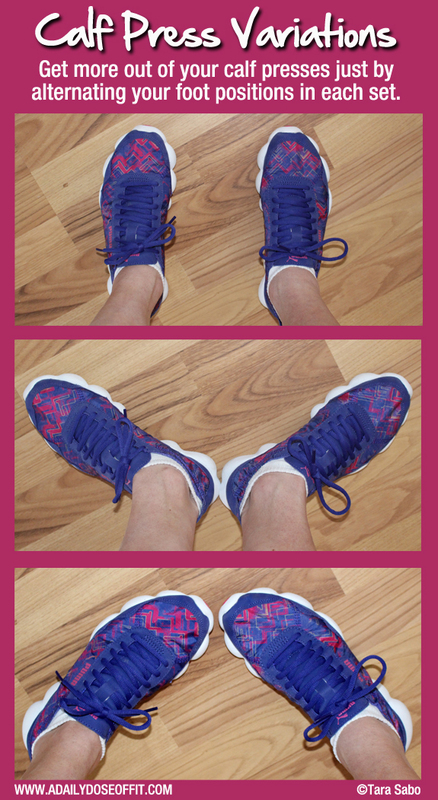 1) Participate in the SweatPink/Lorna Jane Move/Nourish/Believe blogger challenge. I sucked at this. Big time. I love blogger challenges, but I just...I don't know. I couldn't incorporate very many of the tasks into my daily life. Aside from posting a few things on Instagram, I shared five of my fitness favorites during the "move" portion and somehow managed to take five mindful minutes during the "believe" portion of the challenge. 2) Maintain my 3 miles/twice-a-week running pattern. It's interesting how things can change so quickly when it comes to pregnancy. I spent a week this month pretty much flat on my back, and while I thought it might be another case of the flu, I concluded that it was nothing more than a growth spurt—I think the hormones caused a resurgence of nausea. Anyway, it threw off my personal workouts, consequently changing them a bit. I haven't been clocking three miles, but I am still running with a side of strength training (since I'm no longer participating in my HIIT class). 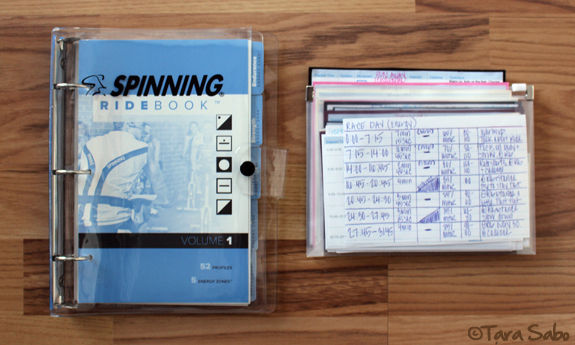 3) Complete some continuing education credits for my Spinning certification. I didn't exactly complete the credits, but I did decide to purchase the following course. Since I'm still on the bike, and since we have a diverse membership, I thought a course on special populations would be useful (and interesting). 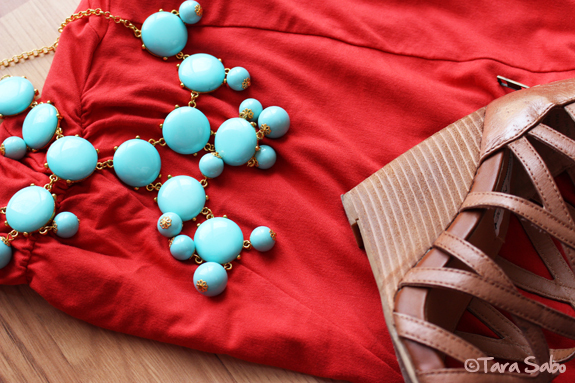 4) Find and order a maternity dress for an upcoming wedding. 5) Develop weekly meal plans and grocery lists. Sad note: Last week, as I was cleaning out the pantry, I somehow managed to throw away a bag of NatureBox Whole Wheat Raspberry Figgy Bars. I can't even keep talking about it. Question: What goal did you achieve this month? Tell me so I can congratulate you! I recently aligned myself with a new community of I'm Fit Possible ambassadors. Why? Because fitness is for everyone and the possibilities are endless. I believe this for you, you and you. Yes...even you. And my fellow ambassadors believe the same. Basically, we're all "big-hearted, creative fitness enthusiasts" working together to rock social media with the type of inspiration that promotes embracing one's own health while at the same time infusing the world with positivity. Because, let's be honest...we need to support each other. And ourselves. Because we can't support others to the fullest if we're not, first and foremost, there for ourselves. This approach, this "life needs to be positive" way, is really the best. Right? I mean, life is too short to dwell in negativity, harshness and evil. It's much better lived in a state of bliss. This new community I'm a part of publishes an awesome blog that I look forward to writing for someday. It's part of my responsibility as an ambassador, if you're wondering, and it's a responsibility that I'm willing to take on. I digress—You should follow this blog. 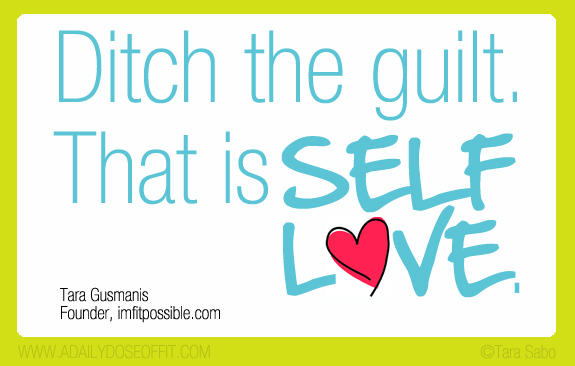 I caught up on a few posts last night and was really, truly inspired by one that talks about self love. Tara (nice name) Gusmanis wrote it. She's the founder of I'm Fit Possible. In this post, she talks about ditching guilt. Why should we entertain guilt? It's a harsh thing. We should, instead, own our lives. We should stop falling into the comparison trap and do what's right for ourselves. For example, she talks about prepping meals. It's a good thing, yes, but it's not the be-all, end-all to healthy eating. If you can do it, great. If not, so what. You can still eat (and be) a healthy person. You have much more to worry about. Love yourself, readers. I'm serious. Release the guilt you feel for not doing this, that or the other thing. Or for eating this, that or the other thing. Or whatever. Just make room for positive thoughts and actions. Question: What one, possibly trivial thing tends to make you feel guilty? What are you doing to stop that guilt? 1) Do I have access to fresh fruit and/or vegetables? Obviously fresh is best in most circumstances, so if you can get your hands on and/or pack a piece of fruit or a baggie full of chopped veggies, then you'll be one step ahead of the "snack monster." Or whatever you want to call it. 2) If I can only eat something processed, what is my best option? On the flip, if you can't access something fresh, then you're most likely stuck with something processed. So weigh your options. For example, pick the yogurt over the granola bar, or the granola bar over that bag of chips. 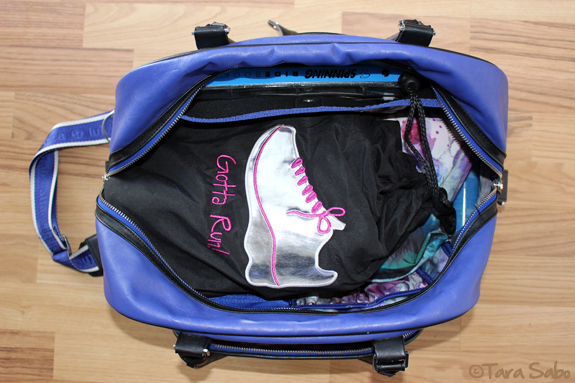 And never, ever hesitate to pack something processed in your purse, backpack or gym bag. Consider it an insurance policy. 3) Do I need protein? Snacks that contain protein are great after a workout. So if you've just exercised, you might steer yourself toward foods that contain the stuff. Aside from that, even if you haven't just worked out, you might want to ask yourself how much protein you've eaten thus far in your day. Need more? Then you know what to do. It's very easy to mistake thirst for hunger. So check in with yourself. Could it be that you just need a big glass of water? Maybe you're thirsty, but water doesn't sound good. Is there a healthy beverage that could be a substitute, like a non-fat latte? Whatever the case may be, do try to consumer enough water throughout the day. 5) Am I just bored? Mindless eating, you've heard of it. Right? I'm so guilty of feeling "hungry" if I'm less than entertained. I really can't say why this happens, but it does. So if you're in the mood for a snack and nothing sounds good, then maybe you just need to change whatever it is you're doing. 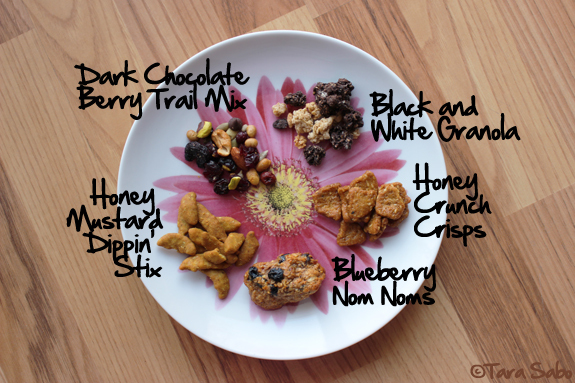 Question: What is your favorite, go-to snack? I used to work with a trainer that pushed whey protein on his clients. He wasn't working with a specific protein company, that wasn't the case at all. He was just very diligent, borderline obsessive about post-workout protein shakes. He wasn't relaying the wrong information, but he wasn't necessarily honest about the fact that protein shakes, specifically whey protein shakes, aren't the be-all, end-all to post-workout nutrition. And, no...he wasn't a registered dietitian. And any personal trainer knows that diet is a grey area when it comes to making recommendations. We're typically taught to speak generally, or from personal experience. Obviously this trainer had a lot of experience with post-workout whey protein. Now, in my own diet, I've always gone the plant protein route. Why? Because I was intimidated by the whey protein market. So many options! So many ingredients! How's a girl to choose the purest, most appropriate form? Plant proteins, to me, seemed so much more approachable. I had a much easier time understanding the ingredients. And it just seemed so...wholesome...to go the plant route. And this is where the story changes: A few weeks ago, someone posted a picture of Reserveage Grass-Fed Organic Whey Protein Powder on Instagram. Curious, I looked into it and found that it was a pretty straightforward whey protein. Long story short: I bought a single-serve packet at Whole Foods, loved it, and ultimately returned with a gift card to buy a tub of twelve more servings. 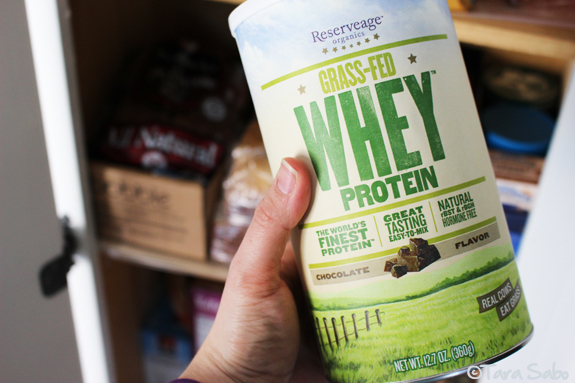 It's a pretty straightforward protein powder (if you're OK with Stevia) that mixes well and tastes absolutely delish. Expensive, sure, but I'm not an everyday consumer so it'll last. I still prefer to get my proteins from my post-workout meals and/or snacks, but this works in a pinch (like if I can't get home right after my workout, or can't pack the right snack for some reason). Ultimately, you have to do what works best for you, whether that's whey, plant or whole food proteins. And if you can't decide, ask your doctor or seek a registered dietitian for advice. 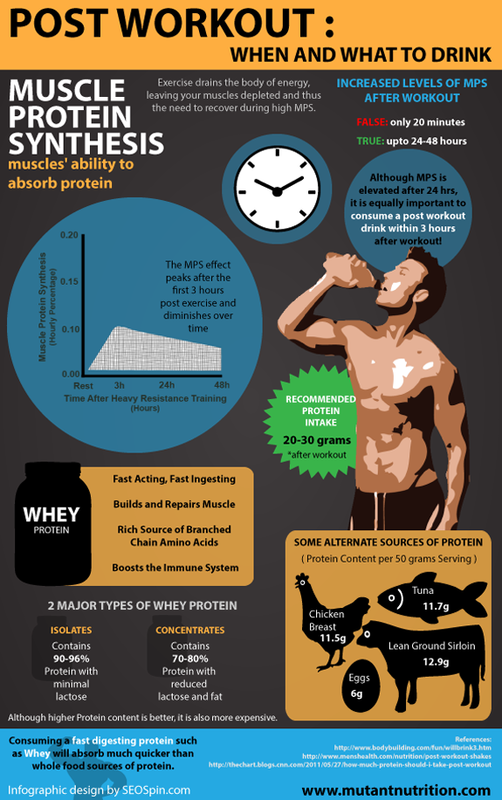 Question: How do you get your protein after a workout? We bought one for our fitness floor this summer and I can't even tell you how popular this evil little elliptical has been! Whenever there is someone on it, you can usually spot someone else hovering close so they can get it next. I've been adding it to my extra strength day and, man...the burn! I don't traditionally like ellipticals, but I love this one. I'm a huge fan of Michael Pollan's work. In Defense of Food was awesome, perhaps my favorite. The guy writes non-fiction so well, you forget that your book is actually educating you. Cooked is without exception. I'm only a few pages into the first chapter, but the introduction hooked me and I'm looking forward to making my way through the rest. 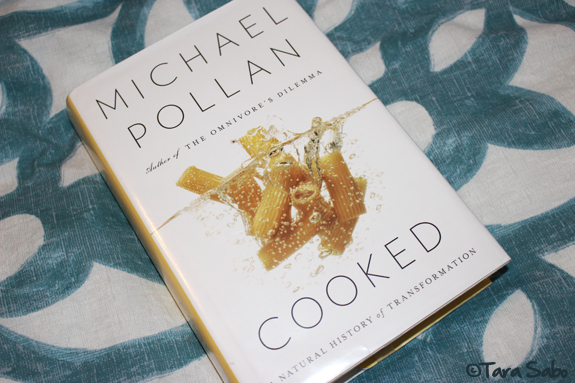 It's a book about cooking, sure, but it furthers the discussion by talking about how the act of cooking has transformed our society. I'll stop there. Wouldn't want to spoil it for ya. I pulled out the bread maker today. I cannot believe how well it works! 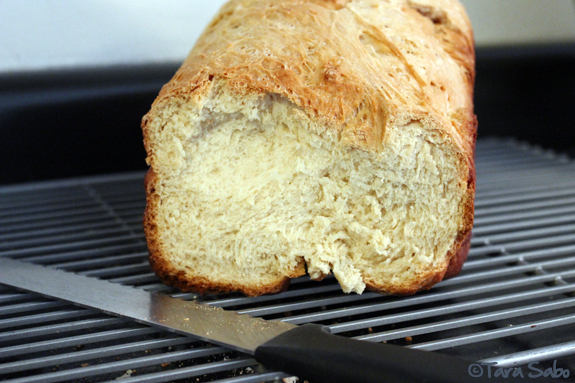 I don't buy white bread at the store, but this stuff...baked fresh...it's like a puff of Heaven, I swear. I toasted a slice to go with dinner, slapped on a touch of butter and some garlic powder. So yum. Just...so yum. I forgot how awesome fetal movement can be. I just love feeling this little baby kick and squirm. It's definitely something I really missed after I had Hannah. There's just something about each kick representing the life growing inside of you, and since we don't know whether that life is a boy or girl's...so cool, man. It's just so cool. For a little over a month now, I've been testing out a subscription to eMeals. It's essentially a meal planning service. They send you recipes and a grocery list every week that's tailored to your diet. There are a ton of plans to choose from, and I've been toggling between Clean and Classic. Expect a full review soon, but feel free to check out the service while I continue testing it out. 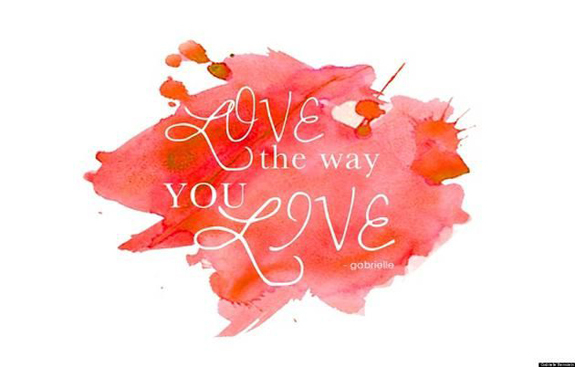 Question: What are you loving right now? And it's Friday. But for me, it totally felt like a mid-week type of day. I think Baby hit a growth spurt this week—I was knocked flat for a few days with what I can only describe as a resurgence of preggo nausea. Blech. I'm feeling better, though. And I hit the gym this morning for a leg workout. My first workout since last Saturday! Needless to say, getting back at it has made me super hungry. 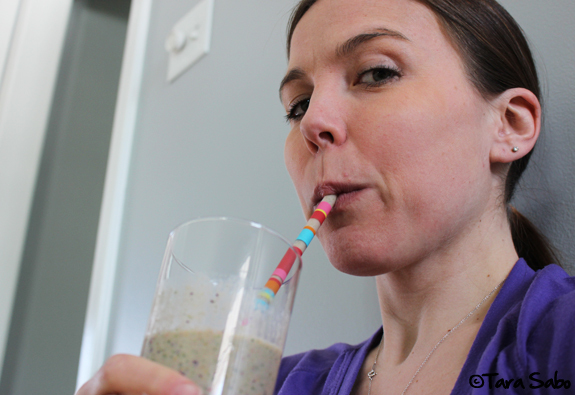 It took me, like, two seconds to drink a smoothie this afternoon. The only good thing about being flat on my back? I found time to catch up on my Feedly, which tends to get wildly out of control. I have so many awesome posts bookmarked for later, but "later" never seems to come. Except it did, and I have a few links to share with you. 1) I am always looking for grocery store inspiration. Both Cassey of Blogilates and Lorna Jane posted "ultimate" clean eating grocery lists. You bet I pinned 'em. 2) Flavored cream in my coffee is the bee's knees, but off the shelf, it can be so bad for you! I die for this recipe for vanilla coffee creamer from Jennifer of Peanut Butter and Peppers. 3) I'm not a huge fan of The Biggest Loser, I typically watch it for exercise ideas (if at all), but I got sucked into the last few episodes of this season (because nothing else was on). Sure, Rachel made me assume the worst about her at the finale. But now I've come to believe her appearance is a bigger issue, one that Mindy brings to light on her blog, just a one girl revolution. I'm now with her thinking we can't blame Rachel. 4) Motherhood, man. For all you moms or soon-to-be moms out there, you might relate to this list of 15 things every mother knows. 5) To monetize or not, that is the question I've been weighing over and over in my head. Sure, I make a little money off Daily Dose, but it was never my goal. Although now, I'm realizing that this little space I've created COULD, in fact, bring a little somethin' somethin' in. But can I do that without compromising the integrity of what I've created (and hope to continue creating)? These 8 steps to advertising on a blog will at least keep me thinking. Question: Got a good link to share? Leave it in the comments! I'm always looking for good reads. 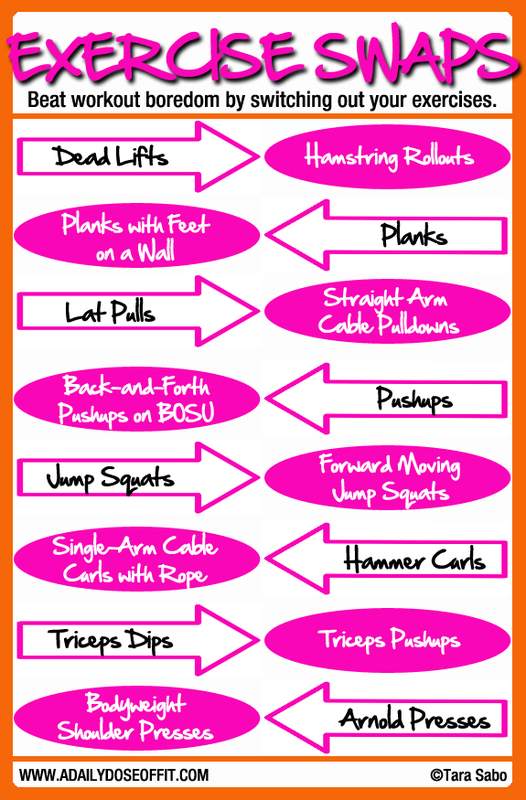 Question: What are some of your favorite exercise swaps? So I've been really bad about following the Move/Nourish/Believe blogger challenge. The "move" aspect of it wasn't easy because I don't have a lot of flexibility in my exercise schedule, and the "nourish" part of it...well, I have no excuses, just that it's hard for me to think only of myself when making food choices. Thus is family life. But this week's challenge is all about believing in yourself, and that's something I...something everyone, really...should absolutely have the time for in my day, in some way. Yesterday's challenge was to spoil yourself, and I certainly did that by spending a lot of time on the couch (sick with a minor belly bug). 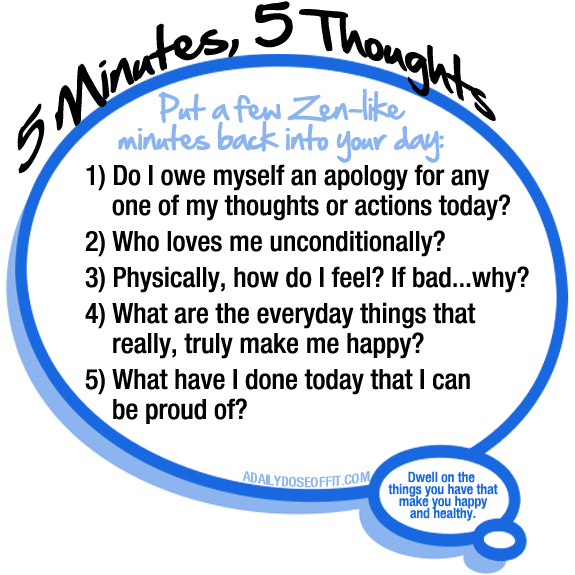 Today's challenge is to find five mindful minutes of meditation. I feel like I should be channeling my thoughts, "selecting" them...but I think about, well...decorating. Translation: Everything. But I guess that's what meditation is all about...losing yourself in a calming (albeit somewhat boring) peace and just letting the mind do its thing. But I guess I'm more of an on-the-go, whatever comes to me type of thinker. I do some of my best thinking while running, or cleaning...or even just driving. But maybe I really should start channeling those thoughts to better my mind and body. Or maybe I should at least do less planning and more thinking about what I have, what I can do, and what my life has given me so that I don't end each day feeling so exhausted and defeated by what I didn't manage to get done. Five minutes, five thoughts. Maybe you do this at the end of your day, maybe you think about them here and there throughout. However you go about it, join me in trying to put a few zen-like moments back into your day. And hopefully, together, we'll learn to be better about dwelling on the things we have, the things that make us happy and healthy, versus the things we don't have or haven't done yet. Question: Do you meditate? If so, how? If not, why? 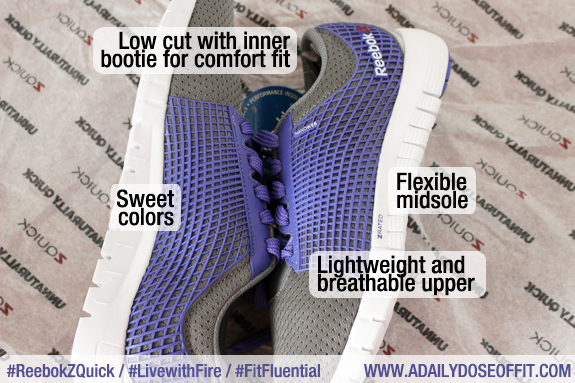 The following post is sponsored by FitFluential, LLC on behalf of Reebok. As always, the opinions I provide are completely my own and in no way affected by free product or compensation. I tell it like it is, always and forever. As a pregnant woman, if you were to ask me what I've been missing most over the course of the past 24 weeks, you might think my response would have something to do with alcohol (wine, please) or my favorite clothes. But really, my response has everything to do with running. Don't get me wrong, I'm definitely still clocking miles. They're slow, usually around three total, and they involve a potty break or two. So why do I miss running if I'm still running? Because I'm not training for anything, and I can't run the one race I fell in love with last year. 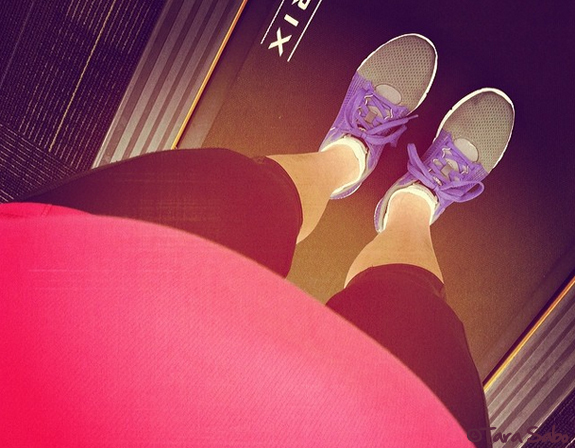 But I keep looking on the bright side: At 24 weeks gestation, I am still running! Now, I'm not doing much sprinting or speed work these days, but this shoe is incredibly light. Despite the big belly and slower pace, I really can imagine how one might feel faster in them. 1) While the inner bootie is awesome all around, like a big hug for my foot, the back portion of it cuts into my Achille's a bit...problem solved by wearing higher cut socks, but still. This could just be an individual problem as all feet/ankles are different. 2) I wouldn't necessarily wear these for heavy training or longer distances. I'm not sure that's what they're marketed for anyway. When I train, need just a bit more support to carry me to the finish. But for short runs or runs combined with strength training: Awesome. Conclusion: This will be my go-to running shoe until Baby is born, and then maybe afterwards (at least until I return to heavy training). Reebok ZQuick running shoes are listed on the Reebok website at $85/pair. Follow Reebok on Twitter, Instagram and Facebook for more information about these and other Reebok products. You can also follow A Daily Dose of Fit on Twitter, Instagram and Facebook for more about my adventures running while pregnant. 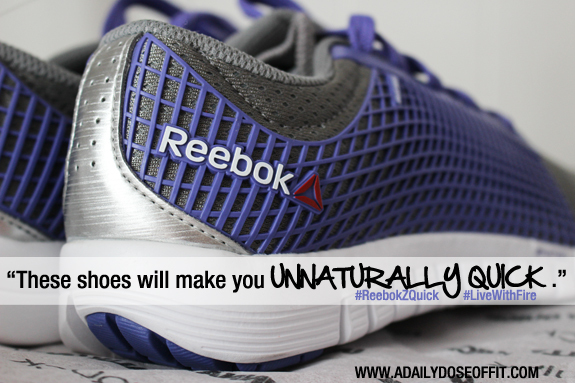 Question: When you look for a new athletic shoe, how much emphasis do you place on color/aesthetics? If the shoe is extremely comfortable but totally ugly, would you still buy it? What are some of the features you look for? 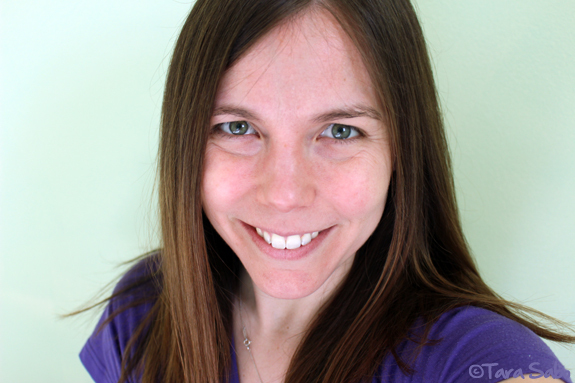 Say "hello" to my fresh-faced self. I'm not wearing an ounce of makeup, I swear. And I didn't make a single cosmetic edit in Photoshop. I just added some light and sharpened the edges to up the quality of the picture itself. It had nothing to do with subject matter, I swear. Because really, I don't care that you can see my wrinkles or that my face is slightly flushed-looking. I just don't care. What you see is me, and I accept that. Don't get me wrong, I absolutely adore makeup and wear it quite often. But not as much as I used to. Go to my advertising job without it? I never would. Go to my gym job without it? All the time. Mostly because I don't have the time to apply it. But when I do, I'll throw some on because I think makeup is so much fun to play with. I only use the basics, really. Sometimes I forgo the blush. Sometimes I just use the mascara. Where am I going with this? I want to remind you not to be afraid of your fresh face. Because it's not really about what you look like with makeup on, it's what's underneath it that really counts. No matter how much makeup you wear, it can't really (truly) change who you are. 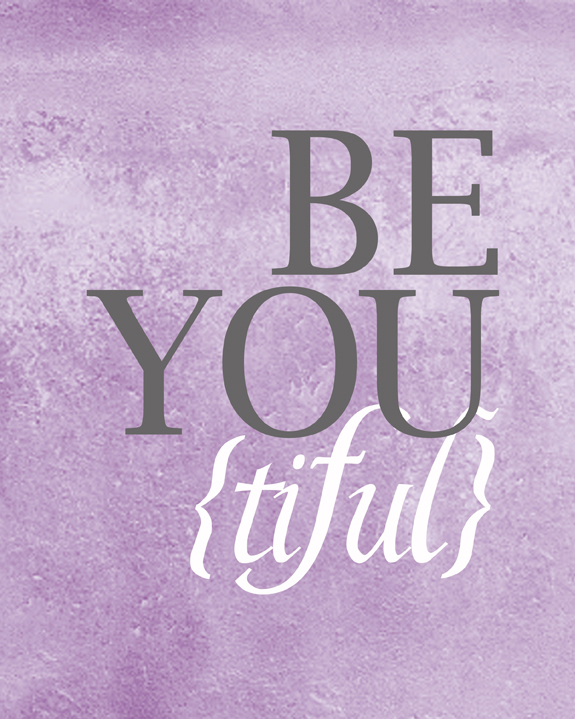 Sure, it might make you feel a bit more presentable and, as such, more confident...but it can't perfect you. You're absolutely beautiful, with or without makeup. 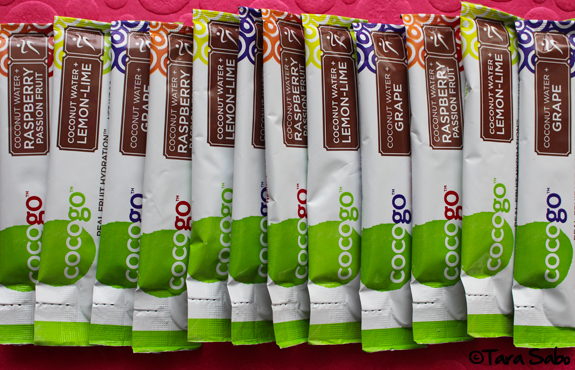 One more day to enter my Cocogo giveaway! Contest ends at Midnight EST on Friday, February 14, 2013. Deliciously hydrating drinks are up for grabs! Question: To all my ladies out there, what's your relationship with makeup? Wear it often? Don't leave home without it? Guys, if you're reading, what are your thoughts on makeup? Do you like it on a lady? It was a gift, and it's been working out nicely. 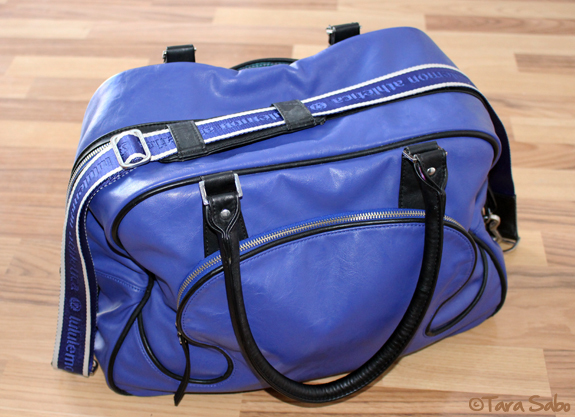 I get so many compliments on the color, the pockets are plenty and spacious, and the leather exterior holds up to all the stresses it sees. One downfall: It's heavy. Let's be honest, though. That's only because I pack the sucker full. I have to pack my running and Spinning shoes because I head to the gym in snow boots. Athletic shoes, man. They're my new high heels. I don't think I'll ever have enough. From a heart rate monitor to a stopwatch and my janky old iPod, to my iPhone and some ear gear...I'd be a sad instructor without all of this. 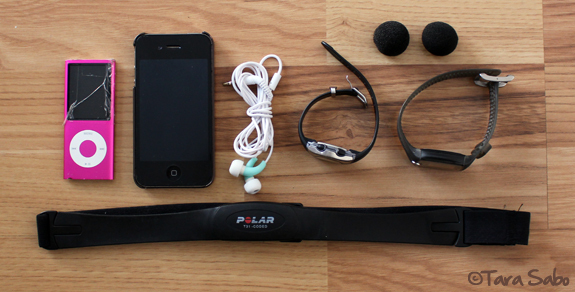 Well, except for the earbuds. I obviously don't use those when I teach, but I'd die on the treadmill without them, so they stay in my bag so I don't ever lose them. And those black dots? Mic covers. No need to be spreadin' germs. I give all my instructors their own. I'm never without a snack, ever. Especially on Tuesdays when I need extra fuel to get me from Spinning through Kettlebells. And the notebooks? One is a calendar. I'm old-fashioned in my pencil-and-paper ways. And I typically have a staff meeting after my Kettlebells class, so I gotta be prepared. I don't really feel the need to primp and pamper at the gym, but personal hygiene is important to me...especially at the gym, because sweat makes one quite stinky, and I don't ever want to be THAT person. So I keep these things on-hand just in case. I'm still a rookie on the bike. I could never teach a class off the top of my head. I much prefer to have a plan so I keep a "library" of rides in my bag at all times. 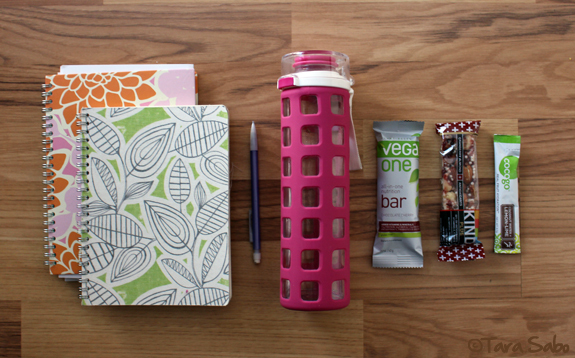 Don't forget to enter my Cocogo giveaway! It ends Friday, February 14th, 2013 at Midnight EST. 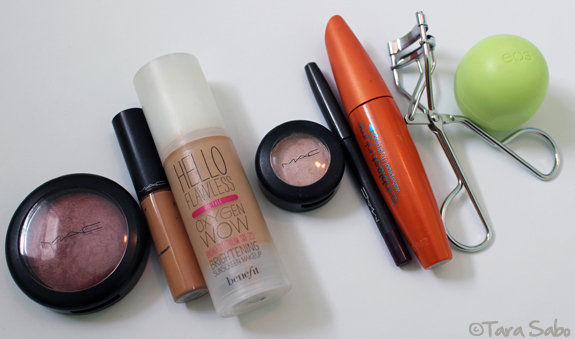 Question: What are some must-haves in your bag? I must confess: When it comes to drinking the right amount of water from morning to night, I am horrible. I never drink enough. The stuff bores me to bits. Terrible for a pregnant personal trainer to admit, right? I'm good for a glass at dinner and lunch, but inevitably turn to lemonade or something else to finish quenching my thirst. I obviously guzzle down the stuff while I'm teaching or working out. But, while I'm going about my day folding laundry or playing with the kid...this is where I fail me. Even if I have a full water bottle at my disposal. I just...don't drink it, or again, I drink something else that's maybe not so healthy. 1) To remind myself of the things I like to do that help me consume more water. 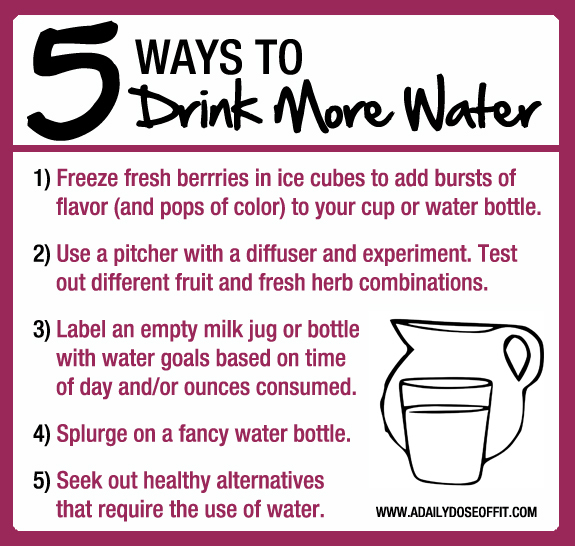 2) To help YOU consume more water, if perhaps you might need to. 1) Freeze fresh berries. It's funny, while I realize how great it is for me, there's nothing more boring to me than a glass of water. I mean, it's clear. We all know it lacks flavor. So perhaps making it pretty with little pops of color that eventually melt into bursts of flavor makes it all better, right? Yes. 2) Use a pitcher with a diffuser. Here's another confession: I have one, but I don't use it nearly enough! Why? I honestly forget that I have it. But I love it, nonetheless. And it really, truly does a great job of instilling some flavor into my water. Favorite combinations include lemons, limes and oranges. Strawberries and basil. And, of course, raspberries and lemons. 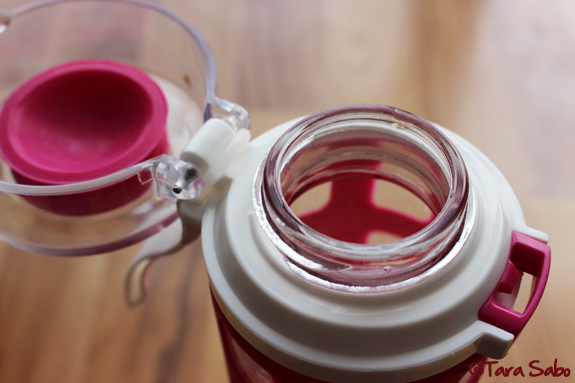 3) Label an empty milk jug or bottle. Nothing is more motivating then having a goal to achieve. So turn your daily intake into a contest between you, yourself and your water needs. 4) Splurge on a fancy water bottle. First off, if you spend your hard-earned money on something nice, then you'll have a hard time letting it go to waste. The bottle above was actually a gift, but I love it and hate letting it sit. 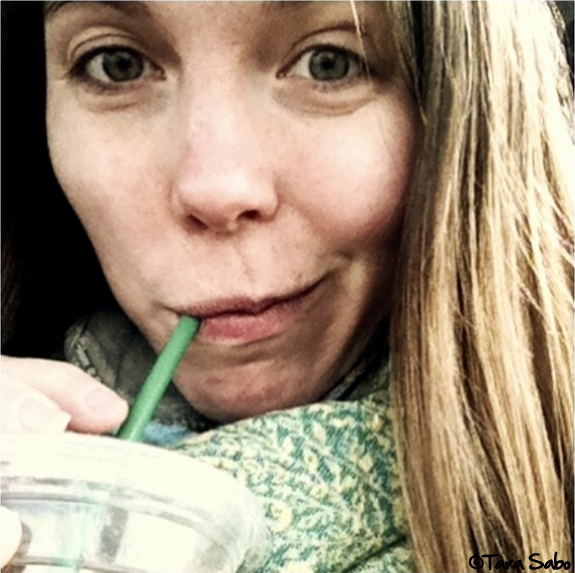 I find that I drink more when I'm using it, versus a boring plastic cup or a store-bought bottle full of water. 5) Seek out healthy alternatives. Now, one would argue that fountain pop requires the use of water, but let's be honest—while it's thirst-quenching ability is evident to many—it's not necessarily what you might consider to be "healthy." I'm talking things like tea. Or drink mixes with a minimal list of ingredients, all of which should be recognizable and good for you. 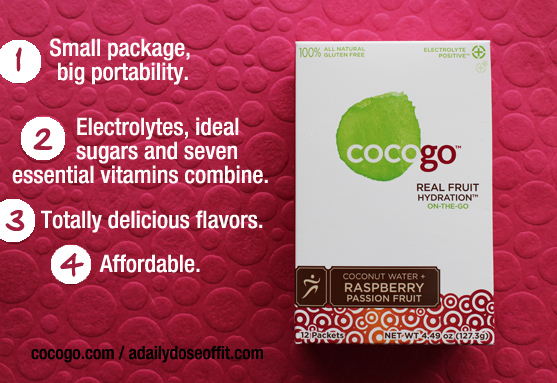 Currently, I'm obsessed with Cocogo coconut water drink packets. Note: The following portion of this post will discuss product that I received for free. At the end, you'll have the opportunity to get some for yourself. Feel free to stop reading if product reviews aren't your thing. A long time ago, I got to sample some of this stuff. I liked it then and was curious to see if I'd still like it as much now, so I reached out to Cocogo to see if they'd be interested in sending me a few samples. I'm so grateful they were, and was quite surprised to receive a few packets of each flavor: Lemon-Lime, Grape and Raspberry Passion Fruit. Needless to say, I've definitely been relying on it to help me get some water down. In fact, I'm thinking about ordering more to take with me to the hospital when #2 is born. Last time, when I couldn't eat, they offered me grape juice to help ward off the hunger. Ugh. I got it down but it was not the ideal. I'm thinking (hoping) this coconut water will work out much better for me. But it's not a labor/delivery juice, let's be honest. It's a sports drink, you know the kind. And I love that it can be mixed to any strength almost without fail. And honestly, as far as sports drinks goes, I'm totally able to get it down without any issues. Sometimes mixes like this hurt my belly. Yesterday was Thursday (obviously), but for some reason, I kept thinking that Saturday was next. But we all know Friday comes first. Today, in fact, is Friday and that deserves a happy dance. Go ahead, I'll wait. I mean, we all have favorites. Right? 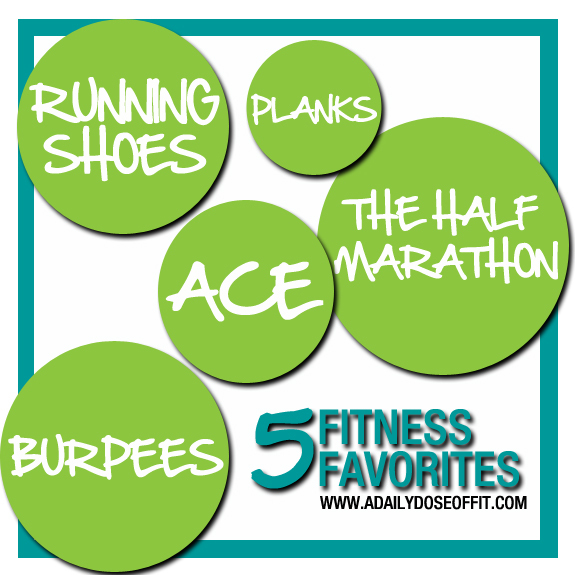 I actually had a hard time narrowing it down, so consider the following just five of many fitness favorites that I have. As for burpees and planks, most people hate them but I love them. Burbees because they get my whole body involved and I can really, truly feel myself working. And planks because I'm of the opinion that they're the best core exercise out there. At five months pregnant, I'm still doing them, but for a much shorter period of time. I think I can knock out a solid 1:30 before they get unbearable. I'm used to doing 3:00-5:00 planks, depending. As for the half marathon, it's totally my favorite distance. Long enough to feel like you're really, truly training for and accomplishing this awesome feat, but not so long that training is unmanageable with the rest of my schedule/life. 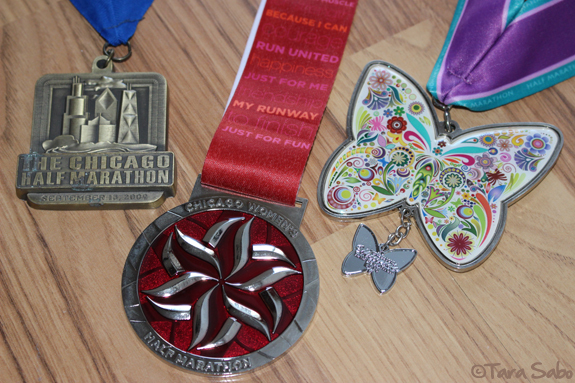 What shocks me is that in my history of running races, I've only done three half marathons. I plan to up that count in the future. And then, there's ACE. The American Council on Exercise. I am an ACE-certified personal trainer, but long before I held that piece of paper, I regarded this organization as a top provider of quality fitness information. One of many, of course, just THE ONE that I turn to most. Feel free to dance it out a bit longer if you need to, the song above is infectious. 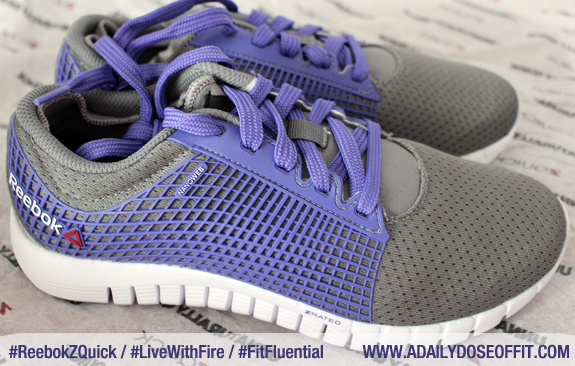 Question: What are some of your fitness favorites? I woke up this morning and went to the gym. Not a revolutionary activity for me, as I'm prone to early morning workouts, but I probably should have stayed in bed because I'm feeling sick again. This time, it seems to be concentrated in my chest which makes me a bit nervous. I swear, I can't shake this funk. I thought maybe the workout would wake me up a little and maybe get this crap outta me. Well, I walked for 40 minutes instead of completing my usual 3-mile run. Call me crazy, but I love getting my sweat on before the world wakes up. In fact, toward the end of my full-time career in advertising, it was one of the very few things in life that truly made me happy. I worked at a place that made me miserable. Absolutely, 100% miserable. And it's my own fault. But I left. I packed up and shipped myself north to a bigger town a little over an hour away. I took a job as an account manager. Something I swore I would never do, and something I continuously told myself wasn't going to be that ideal position. Looking back, I really knew going into it that I wasn't going to be happy. But the cute office in a picturesque part of town that bustled with activity persuaded me to believe this was it. And the pay was nice, too. I failed to listen to the voice within and it's a regret I will live with every day of my life. But I'm perfectly OK with that because it's a regret that now inspires me. Shortly after I lost my job as an account manager, I began my journey toward a new life as a certified personal trainer—and wife. I moved home for a few months to plan our wedding and begin a 3-month personal trainer certification course. And after the wedding, I moved back to the town I left for that very awful job. And that's where I am today. Back where I started. But not at all the same. I'm in the fitness industry now, loving every single second of it. I'm chasing my new dreams one by one and, most importantly, I'm listening to that voice within. I am a bigger, better and stronger (perhaps physically, too) person because of that one misstep. That one piece of regret that now inspires me. My husband still works for the agency I loved so much. I still get the gossip, hang with the people, hear about the projects...and honestly, although it still isn't the right place for me anymore, I miss it. I didn't leave on a bad note, not at all. And I'm very much welcomed whenever I do visit. For that, I will always be grateful. Now go, listen to yourself. 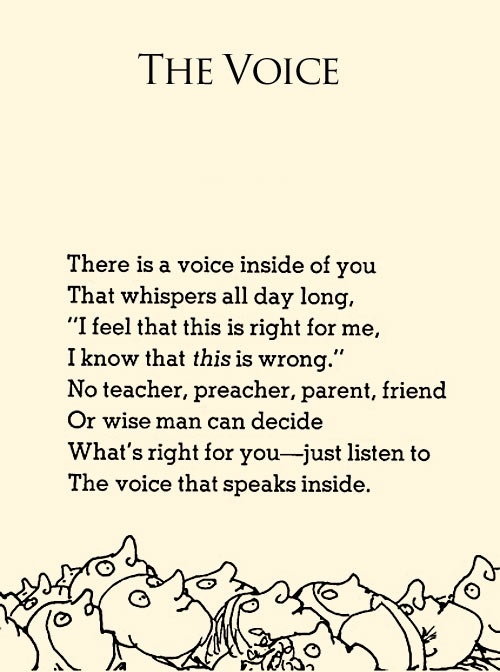 Because Shel Silverstein is awesome. Question: Do you get along with that voice in your head? Are you good at listening to your gut feelings? Total-body workouts are extremely popular with most people. I use this approach in my 6:00AM Circuit Sculpt class. If I get people for one hour a week, I want to make sure I'm working every single one of their major muscle groups. It only makes sense, right? These major groups can be broken down into legs, chest/back, arms and torso. Or, more specifically, quadriceps, hamstrings, glutes, biceps, triceps...you get my drift. All the biggies that almost everyone can name. So today's Workout Wednesday post, if you haven't figured it out yet, will focus on these muscles. I present to you a workout that will hit all of your major muscle groups. Please make sure that you've accurately warmed up, and do check with your doctor if you have any concerns. And modify as needed to avoid injury. 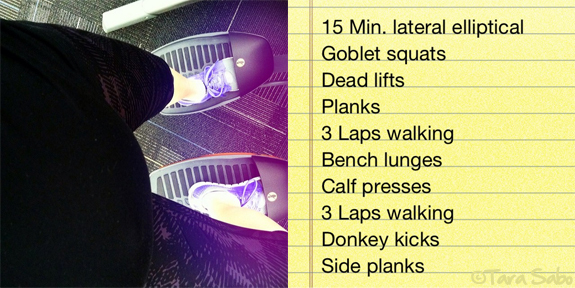 1) This workout should take you 45 minutes to an hour. 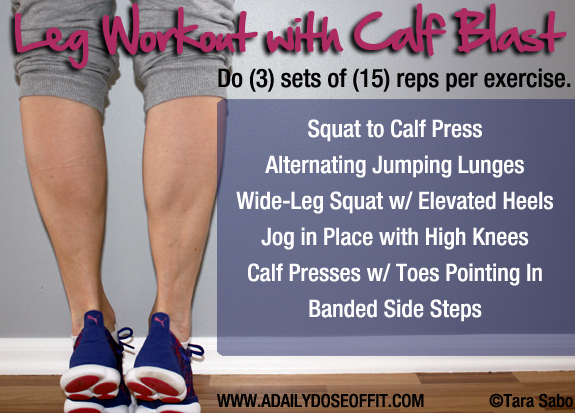 To increase intensity, add short bouts of cardio between each exercise grouping. 2) To elevate your heels for weighted squats, put two weight plates on the floor. 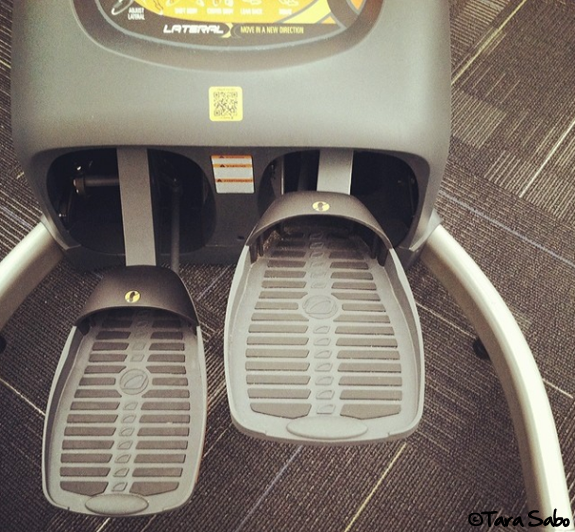 This places greater emphasis on your quads. As you perform the chest presses, push your hips up toward the ceiling and hold to get max burn out of your glutes and hamstrings. 4) In your side plank position, oblique crunches are done by bringing your upper knee to your upper elbow. Don't let the upper shoulder roll forward as you crunch. Keep everything right above your obliques. Question: How long does it take you to complete a traditional total-body strength workout? Do you prefer this method over quick, more intense and non-traditional forms of exercise? Why or why not? A few weeks ago, I shared a set of easy ways to improve your blog. 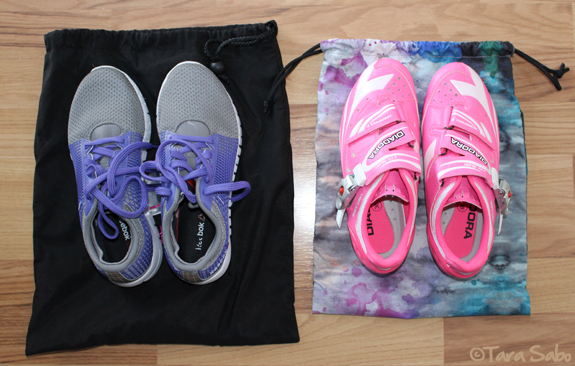 Today, I'll take it one step further and share some tips for those of you that blog specifically about fitness. As a fitness professional and fitness blogger, there are certain precautions I take. And there are certain things I look for in other fitness bloggers that directly influence my interest in them. As you know, we fitness bloggers have to be very careful with our content. We are, after all, directly influencing the health and well-being of others. Therefore, we need to post responsibly. And effectively. Perhaps the following will help you! Please note that I am not a lawyer. The following tips come from a place of personal experience. 1) If you are a certified fitness professional, make it known. Share affiliations by posting logos in your sidebar and/or listing them in your bio. This builds your credibility in the fitness blog world. In addition, when you post workouts or make recommendations, let people know that you're doing so from a place of professional experience. 2) Write within your scope of practice. Your blog is yours to do with as you choose, but that doesn't mean you can act as an expert in a field you know nothing about. Stay true to your certifications and tread lightly outside of them. For example, if you're a certified personal trainer, be careful when you discuss diet and exercise. Remember that you are not certified to prescribe specific diets and/or supplements unless you are otherwise certified to. When you speak of these topics, speak from a place of personal experience. 3) If you are NOT a certified fitness professional, disclose this information. This doesn't mean that you can't post workouts or talk how-to, it just means that you need to be fair and let people know that you are not doing so from a place of professional experience. It won't necessarily discredit you, but it could help if someone where to misuse your information and ultimately get themselves hurt. Putting this information in your biography might be a good start. You could also add it to the top of any post that includes a specifically described workout. 4) Consider adding a disclaimer to your side. Putting your blog under the umbrella of a single disclaimer might help in the long run, should anyone raise hell because of something you posted. It also leaves more room in your post for the fun stuff. But, it never hurts to make the appropriate suggestions: "Check with your doctor before starting a new fitness routine." "Follow these workouts at your own risk." "I am not a certified fitness professional, but this works for me." You get it. 5) If you make videos, keep quality and personality at the forefront. I realize that I don't post fitness videos, but I watch a lot of them. If I can't hear or see you, or if I can sense that you are nervous and/or reading a cue card, then I tend to cringe and move on. Relax! Focus! Set up the scene. Prepare yourself—please don't "um" your way through it! And remember, my attention span is somewhat limited. Give me the information I need in a quick, efficient manner that's void of repetition. 6) If you make pinnable images, make sure they contain the right information. If you give me a list of exercises, I won't know what to do with them. Tell me how many repetitions or give me a time frame. And remind me that I need to warm up and cool down. 7) Be tasteful and appropriate with body shots. Sure, you've got great abs—I don't need to see them in every post! This is especially true on Instagram. 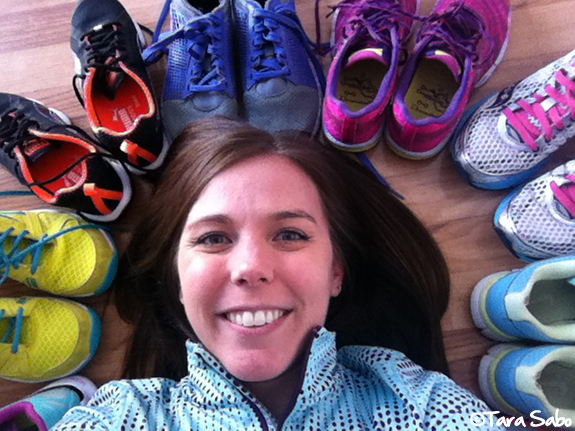 Posing for selfies is fun, but it's not the only way to share your fitness. Right? 8) Assume that your readers know nothing about fitness and write accordingly. Translation: Be descriptive when you talk about specific exercises and workouts. Be clear and use language that educates. You might know exactly what you're talking about, but I might not. And if I can't figure it out based on the information you are giving me, it doesn't do me much good, right?! Now, go! Join me in spreading the wonderful world of fitness. It's awesome and oh...so much fun. And it's changing lives everywhere. I'm so honored to be a part of that. Question: What tips do you have for fitness bloggers? Yes, readers, you can chime in, too! It's your input that often means the most to us! Yesterday, I had a surplus of sun-dried tomatoes left over from dinner's recipe. I also had a half-empty jar of basil pesto in my 'fridge. What's a girl to do with these ingredients? Make hummus, of course! Let's be clear about one thing: Food stylist, I am not. 1) Rinse and drain the Garbanzo beans. 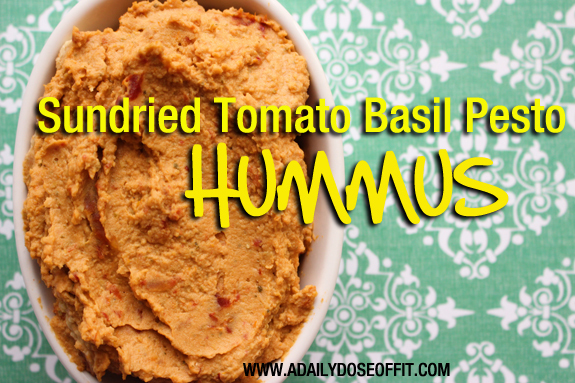 Remove the outer shell if you wish...this could produce a smoother hummus but is not necessary. 2) Throw everything into your food processor except for the salt and pepper. Process until combined. 3) Add salt and pepper to taste, blending as needed to combine. Question: What's your favorite thing to dip into hummus?